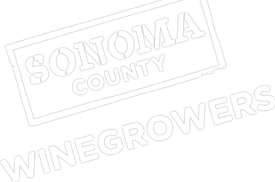 The Sonoma County Winegrowers present the 23rd Annual Dollars & $ense Seminar and Tradeshow on Wednesday, January 15, 2014, from 7:30am until 1:30pm. The event takes place at the Wells Fargo Center for the Arts located at 50 Mark West Springs Road, Santa Rosa. This Seminar and Tradeshow attracts a large number of growers, vintners, wine industry professionals and tradeshow vendors who gather to discuss the industry’s most important issues. Agenda details will soon be available. Register online by end of day, January 10 at: https://sonomawinegrape.ticketleap.com/14das-registration. For registration or general questions contact Karen at 707-522-5862 or [email protected]. Businesses interested in participating in the tradeshow should contact Ginger at 707-522-5864 or [email protected]. Vendor registration cut-off is December 20, 2013.